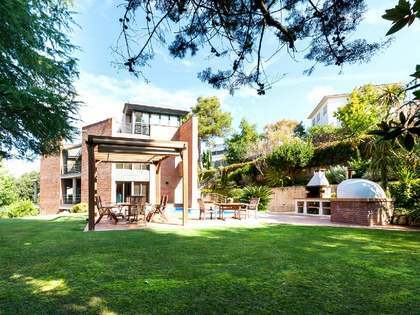 Lucas Fox offers an exclusive range of Vallvidrera and Tibidabo real estate for sale and rent, mainly comprising beautiful family homes with fantastic views. Vallvidrera properties for sale and rent are usually of a high quality and tend to be larger than those you find in the centre of the city. There are many Modernista style houses to buy in Vallvidrera dating from around the turn of the last century. 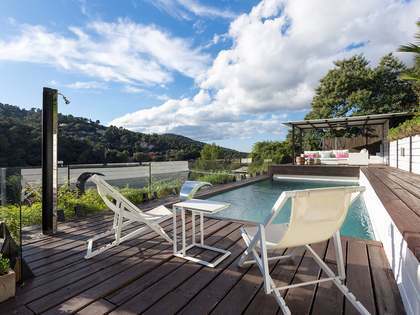 Many of the properties for sale in Vallvidrera have their own swimming pools, gardens and terraces along with excellent views over the city, the Collserola Natural Park and the sea. Vallvidrera can be reached from the Peu del Funicular train station via the Vallvidrera funicular. 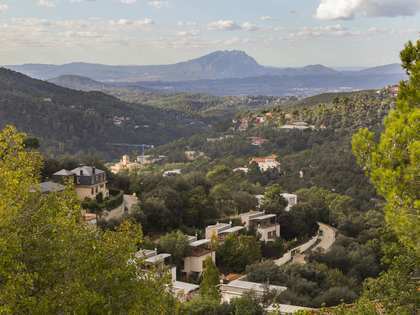 Vallvidrera real estate is surrounded by the Collserola National Park, giving the area a sense of peace and tranquillity while still being easily accessible to the city centre. The National Park has excellent walking and mountain biking pathways throughout. The airport is only 15 minutes away. Vallvidrera properties for sale and rent are well-suited to families who want to bring up children in a community with a village feel, while still within reach of all the conveniences of a world-class city hub. 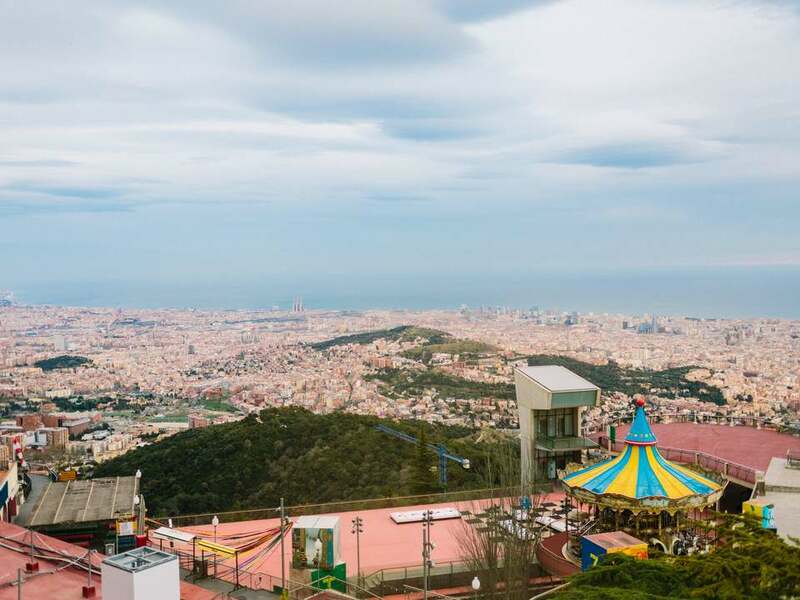 Vallvidrera is one of Barcelona's most peaceful and picturesque neighbourhoods. 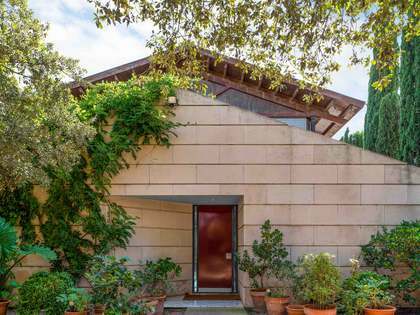 Situated on the side of the Collserola hills overlooking the city of Barcelona and the Mediterranean, it officially belongs to the Sarrià-Sant Gervasi district. 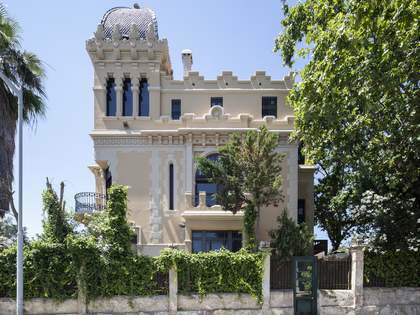 Vallvidrera used to be a seasonal retreat where wealthy people from Barcelona had their summer houses so that they could enjoy the cooler summers. The area is now home to many exclusive properties in which the owners live all year round. Vallvidrera has a proud and charming heritage, with many traditional shops and restaurants still in service today. The local market exudes a sense of community and it is easy to connect and establish friendships with other international families residing in the area. Vallvidrera real estate is close to both international schools and private health facilities.